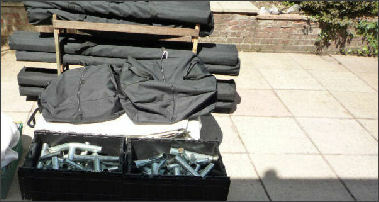 Our carry bags and boxes are manufactured specifically for our DIY Marquees. Please note: we do not include a bag for the roof, this is due to the variety of different sizes a roof can take up when folded. Our carry bags are specifically designed for our DIY Marquees, they will not be suitable for other designs or makes of marquee.